Happy Wednesday! Today is my first day back to work after a mini-vacation in SoCal. Blog posts about all the fun things I did (including zip lining in Catalina) to come soon. Until then I am back with Rachel for What I'm Loving Wednesday! 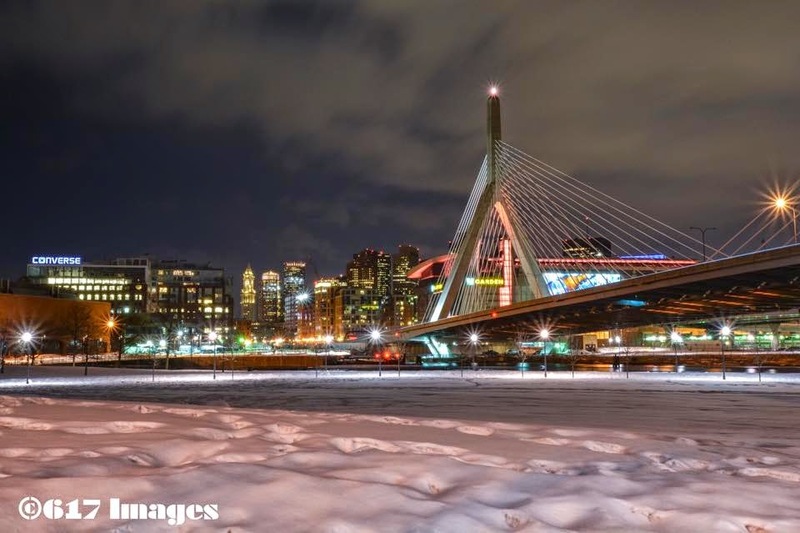 The Boston Garden and Zakim Bridge lit orange for MS! I'm loving that it is MS Awareness Week and I'm seeing things about MS everywhere! Social media is a buzz with facts about MS! Today I'm hoping you will help me to raise awareness by wearing orange and posting a photo with the hashtag #OutstandingInOrangeForMS. I plan to post all the photos in my blog post on Friday! Let's get my hashtag trending!!!! I'm loving that I have orange nails in honor of #OutstandingInOrangeForMS today! (I promise they are orange even though in different lighting they sometimes look pink or red)! I'm loving that my Trivia Night MS Fundraiser is THIS month. I need to get to work on a few more things for it but awesome raffle prizes have been gathered and it is going to be a lot of fun! If you are local and want to come let me know! It is Sun, March 22nd in Allston. $10 per person! I'm loving all the "votes" I got on this post. I still would love more input so if you haven't voted check it out and let me know which quote you think we should put on The Bean Team's t-shirts at the Boston MS Walk. Or if you have a great quote that I didn't include leave it in the comments! Now it is your turn. Link up with Rachel and I and tell us what you are loving. PLEASE link back to us or use the button in your post. Ooo I like the color! I'll be posting my orange pic soon! I gotta post my orange picture!! I didn't forget, I just gotta find a good one. Team Bean!! I love your nails!!!!! I've got my orange on today. Wishing I could attend your trivia night - sounds like so much fun. Gorgeous picture of the bridge in Boston. I love SoCal and Catalina is so fun!